Every fall the National Wrestling Coaches Association (NWCA) takes many different types of nominations from each Region, State, and National and awards many people with these wrestling achievements. After Fauquier HS captured its first ever 4A wrestling state title in Salam VA last February it was not hard to see that Coach Fisher would get recognized for the 2014-15 campaign. The NWCA is the US wrestling support organization that brings the wrestling coaching community together to assist in the sport to ensure the opportunity for all to have a positive wrestling experience. 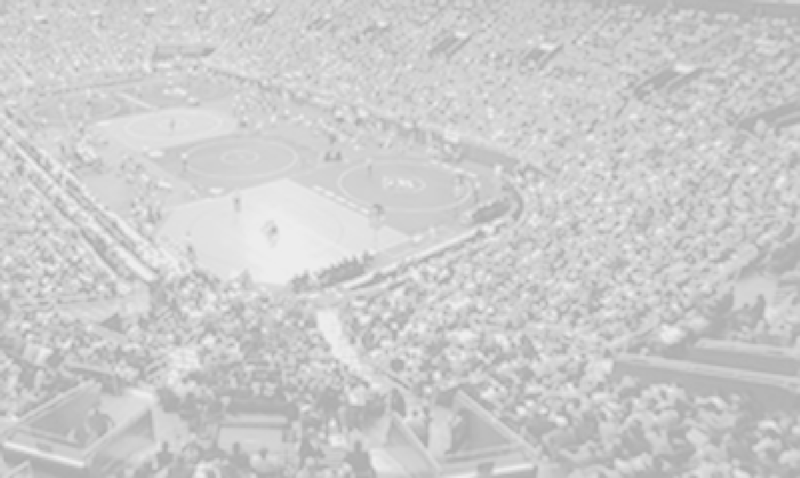 Not only does is oversee the growth of high school and middle school wrestling leagues and coaches but aids in the support and gives development for College and National wrestling programs to grow. Coach Doug Fisher is a 1996 Penn State graduate and wrestled for the Nittany Lions from 1991-1995. He then started his coaching career as an assistant at Robinson HS for 11 years from 1996-2008 where he helped build the Rams wrestling program with current coach Bryan Hazard. Moving to Fauquier Fisher first served as an assistance wrestling coach for two years with the Falcons from 2008-10 where he then took over the wrestling program in the summer of 2010. His career coaching record thus far as a Falcon head coach stands at an impressive 81-24 where he has coached Fauquier with two 20 win seasons. Since 2009 Coach Fisher has coached Fauquier HS wrestling team to five Conf. / District team Championships while having 49 individual Champions, five Regional team Championships with a sum of 25 individual Regional Champions, and help coach the team with two State Runner-ups finishes while winning the Virginia 4A team State title last winter with a current total of 43 individual State placers. 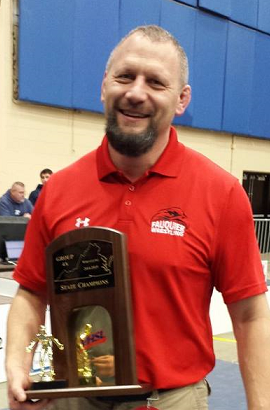 Since taking over the Fauquier wrestling program Coach Doug Fisher also started and currently runs an offseason BoPWC – Birds Of Prey Wrestling Club that serves as the team base line training program during this time. With the sport of wrestling geared to International Freestyle and Greco Roman wrestling through the spring and summer, providing this additional year round training could be why the High School team success has proven to pay dividends. Please share with us on how this feels - to be able to be nominated and recognized? Lots have changed over the past four years as the head coach - Two 5th place state finishes, a 2nd and then last year crown. The creation of the Fauquier Sport Foundation, the expansion of the wrestling room, and let’s not forget about Fauquier Nation. I am sure you have more visions but can you describe the “How” this wrestling program has been able to survive and prosper over these years as Fauquier head coach?